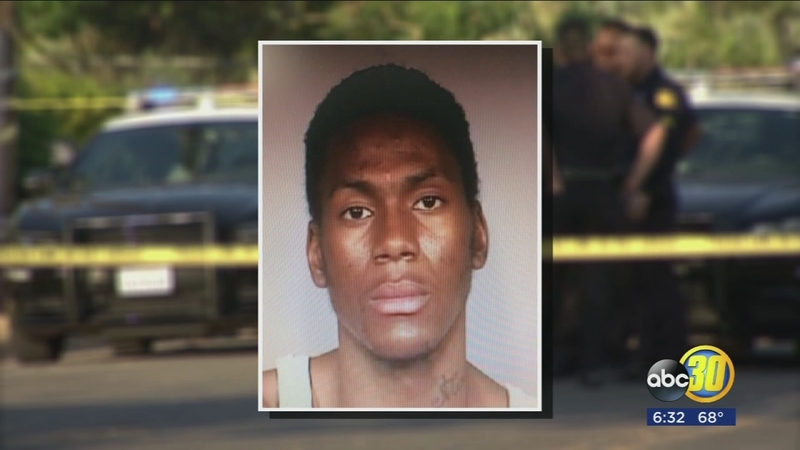 FRESNO, Calif. (KFSN) -- One man witnessed a Fresno murder and he told his story Wednesday, but someone else may have the most important piece of the puzzle. When someone gunned down Delon Agee in July, one man watched the whole scene play out. "When I heard the shots, I was trying to cross at that time," Manuel Ramirez said through a Spanish interpreter. "And I heard that one person was talking to another person." Ramirez did not identify the shooter at the scene and didn't point to murder defendant Ibn Haqq in court during a preliminary hearing. But he did say the shooter was wearing a mask. Haqq is a member of a well-known and intimidating gang family. But family members say Agee's death created a rift in the family and Haqq may pay the price. "I knew it was him because I've known Ibn all my life, but when he took his mask off, that's when I knew it was him for sure," said Janae Muhammad. Muhammad says she saw her cousin Haqq right after the shooting at a house very close to the scene of the crime. He came looking for a ride, she said, but that was about all he'd say even as family members questioned him. "His brother was asking him like 'What the eff did you do?" she testified. Investigators arrested Haqq two days later. But he wiggled out of Fresno Police headquarters and disappeared for a few days before officers tracked him down in Sacramento, still wearing one of their handcuffs. Legal Analyst Tony Capozzi says the escape could also be used against Haqq in the murder case. A judge could decide as soon as Thursday whether there's enough evidence for Haqq to go on trial for murder and for charges related to his escape.